Want to discover and unleash the power in your right brain? Gem Crush Craze provides a great opportunity for you to do right this. 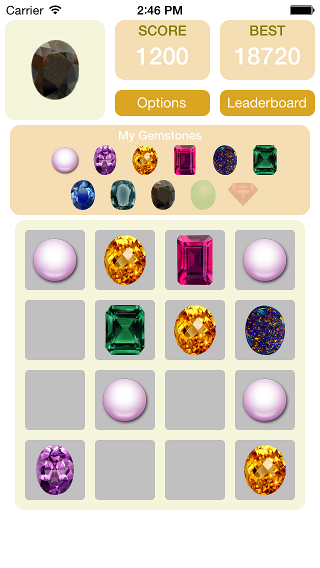 In this iPhone game users are randomly given a starting gemstone, and they need to combine two neighboring gem stones of same types to form more valuable ones. You can follow your instincts to move the gemstones in the right direction, or if you are a serious gamer, you can pause and think what would be the best move you can take. Either way, this is a game full of challenge and fun!